Hello! I’m Michael Folmar and I am a seminarian for our great Diocese of Arlington. I will be headed into Third Theology at Mount St. Mary’s in Emmitsburg, MD this coming August. 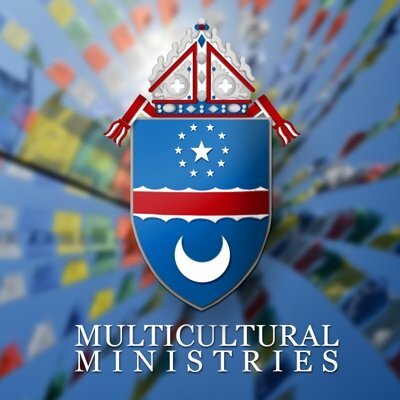 This summer I am helping out in the Office of Multicultural Ministries for the diocese here. So, I have been given countless opportunities to visit all the various ethnic and cultural Catholic ministries (Hispanic, Filipino, African-American, Korean, Brazilian, Vietnamese, Ghanaian, Eritrean, Cameroon, and Asian and Pacific Islander) that make our diocese vibrantly shine. Ultimately, the office that I am in serves and unites these several ministries by evangelization, as well as by going out to them. This past weekend, I was blessed to be at St. Anthony’s in Falls Church (www.stanthonyparish.org). This parish has a very active Hispanic ministry that has captivated several people to come from all over the area – including Maryland. I cannot tell you how hospitable and welcoming everyone was to me. I am also learning Spanish this summer at St. Anthony’s and so have countless opportunities here to learn, as well as practice, it. I started off my endeavor with the Hispanic ministry here by going to Legion of Mary in Spanish on Saturday. It is always nice to see how much devotion and love people have for Our Lady and Jesus – and it sure was not lacking here. Afterwards, there was a Mass in Spanish, followed by two more Spanish Masses the following day. The most heavily attended Mass that filled up the Church was on Sunday at 1 pm. It was very edifying to see various families come here and make it a day at the Church. Many came well before Mass and stayed long after. It was a family event centered around Christ. La Iglesia de San Antonio (its name in Spanish) is a place of refuge and renewal in Christ for many families. Moreover, there is a true sense of community and belonging here. Well, I will be blogging from time to time throughout the summer about other ethnic and Catholic cultural ministries throughout the diocese. So check back here soon. Who knows, you might find out about a ministry that could catapult you closer to Christ. Keep in mind – ALL of the various places that I will be visiting are open to everyone. The more we understand one another, the more solidarity can take root and so bring about more intercultural communication to further build up Christ’s one universal Church. Until next time – ¡Adiós!